Do You Trust the Fat Guy? 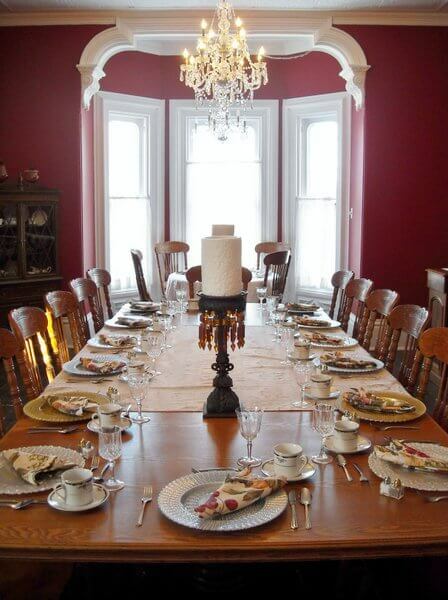 At the Hillcrest House B&B in Waterloo, Ontario, you should. 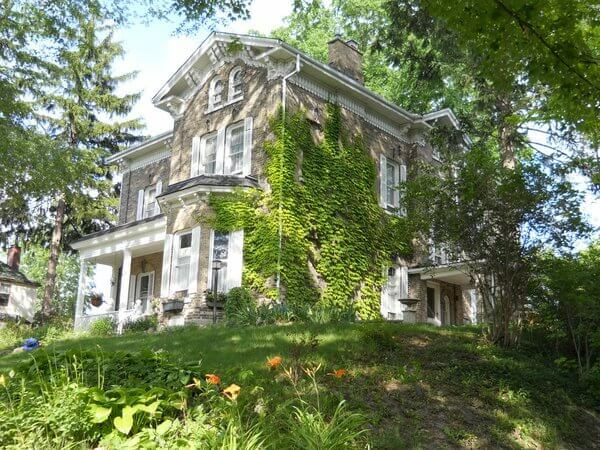 Self-described “fat guy” Stefan Schuster and his wife Wendy run this friendly bed-and-breakfast in an 1882 hilltop home in Waterloo, about 70 miles (110 kilometers) west of downtown Toronto. It’s located on a quiet residential street, not far from “Uptown Waterloo,” the city’s main commercial district. 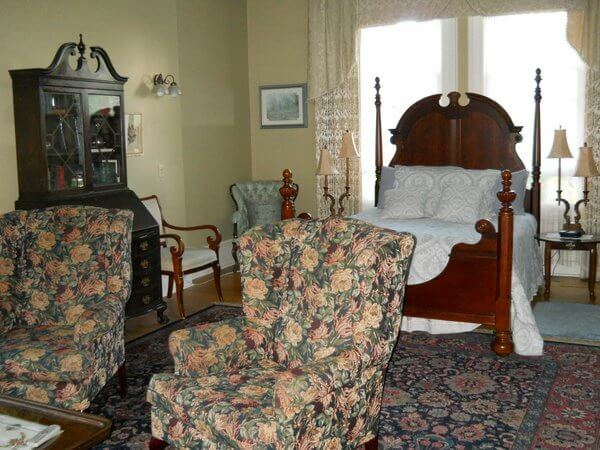 The three Victorian-style guest rooms on the second floor are all quite large, with separate sleeping and sitting areas. All have private baths (stocked with fluffy robes and slippers), as well as TVs, DVD players, and electric fireplaces. Room rates, which typically run CAD$135/night for two people, include Wi-Fi (available throughout the house), parking, and a full hot breakfast. Guests are welcome to use the microwave, fridge, and dishes in the first-floor kitchen and to help themselves to complimentary coffee and tea. If you get bored, you can check out the Schusters’ collection of board games. Morning meals, served in the stately dining room at the time you prefer, typically start with a parfait of yogurt, fresh fruit, and homemade granola, followed by a hearty hot dish. Expect gourmet fare when Stefan takes to the kitchen. His eggs Benedict, for example, might include poached eggs served on a potato “rosti” (a crisp potato cake) and topped with smoked salmon. 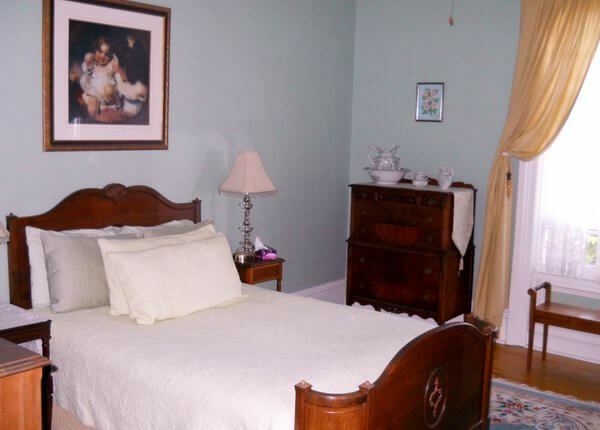 The Schusters are long-time innkeepers who know how to make their guests feel at home. They’re quick to make suggestions about things to do and places to eat in the area. The formerly industrial communities of Kitchener-Waterloo now buzz with high-tech companies (Research in Motion led the region’s tech rebirth back in the 1990s with the BlackBerry smart phone) and an emerging art scene. 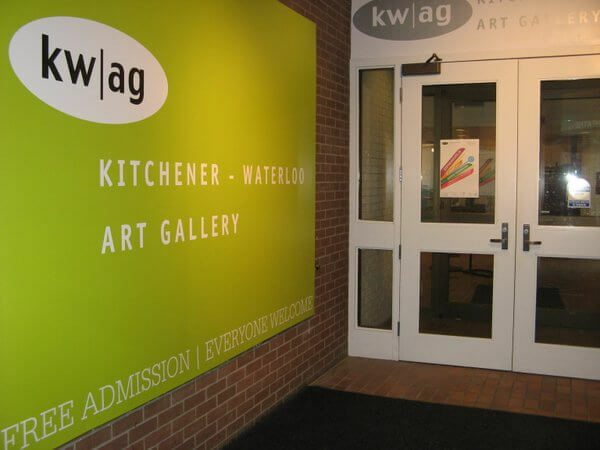 Compact yet cool, the Kitchener-Waterloo Art Gallery features contemporary works by Canadian and international artists, and the Canadian Clay and Glass Gallery shows modern clay and glass works. Attention, beer lovers: Every October, Kitchener-Waterloo hosts Canada’s largest Oktoberfest. Contrasting sharply with the urban high-tech world is one of Canada’s largest communities of Old Order Mennonites, who settled just outside of Kitchener-Waterloo. 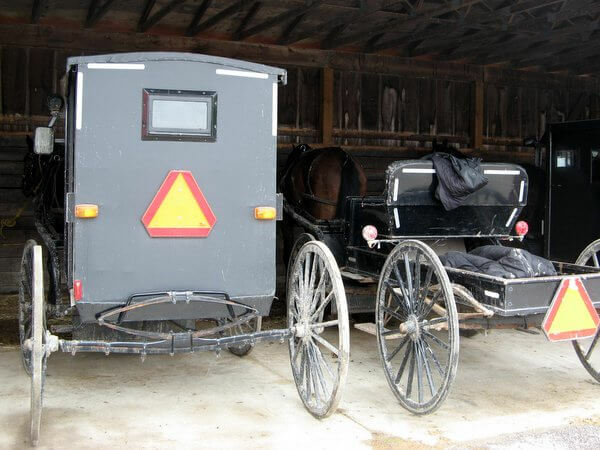 Learn more about their simple buggy-driving, technology-shunning lifestyle, which they continue today, at the excellent Mennonite Story exhibition in the village of St. Jacobs. Back at the Hillcrest House B&B, owner Stefan Schuster capitalizes on his “fat guy” status by offering “Trust the Fat Guy” cooking workshops for couples or small groups. He’ll show you how to prepare a variety of dishes while keeping your wine glasses and dinner plates filled. Contact Stefan or Wendy for details. Now if your travels take you to Waterloo, Ontario, that’s just one more delicious reason to Trust the Fat Guy. Stopping in Toronto en route to Waterloo? Check out Hotel-Scoop’s Toronto hotel reviews. Hotel review by Vancouver-based travel, food, and feature writer Carolyn B. Heller, author of the books, Moon Handbooks: Ontario and Living Abroad in Canada. Hillcrest House photos courtesy of Hillcrest House B&B. Other photos © Carolyn B. Heller. Hillcrest House B&B, in partnership with Explore Waterloo Region Tourism, arranged my stay for review purposes. Thanks, Kristin. Some people are natural hosts, and Stefan (“the Fat Guy”) and Wendy definitely know how to make their guests feel welcome — and with a sense of humor, too.